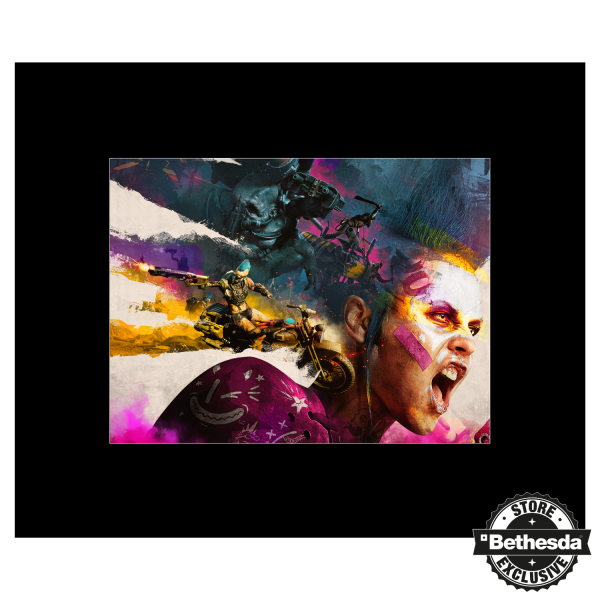 The world of Rage 2 is colorful, loud and artistically impressive, so why not decorate your home with it? This 40x30cm lithograph features keyart from the game and comes on heavy cardstock paper with a slip mount, measuring 60x50cm total. The lithograph is limited to 300 pieces and comes packaged in foil with a handnumbered certificate. Manufactured by Gaya Entertainment.